You can’t call yourself a true backyard pitmaster until you have mastered brisket. The only problem is that brisket is notoriously difficult to master for many reasons. There are plenty of things that can go wrong. But, when you get it right it is a thing of beauty. There are tons of recipes and how-to articles floating around the web about how to properly cook a brisket. Most will recommend that you wrap your brisket in the cook. Ever wonder why? 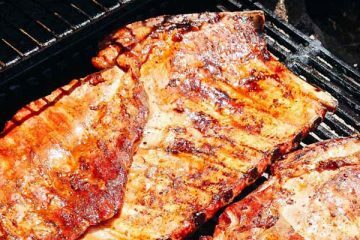 Like most things in barbecue there’s a lot of history and myth involved. We’ll do our best to explain why you should wrap brisket and look at the difference between wrapping in aluminum, butcher paper or going ‘naked’. Why do you Wrap Brisket? How does wrapping barbecue work? Many will instinctively wrap their briskets (as well as pork butts and ribs) in either aluminum foil or butcher paper while they’re cooking. Not everyone will be able to tell you why they do it. Maybe they have some understanding of why it’s a good idea. Maybe they watched Tuffy Stone do it on an episode of BBQ Pitmasters. Either way, let’s break it down. 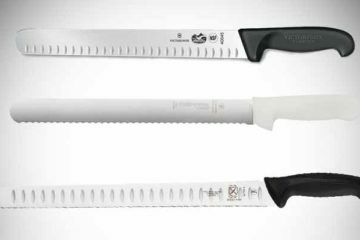 You’ve probably heard the phrase “Texas Crutch” and wondered what the heck that has to do with wrapping brisket. The term “Texas Crutch” has been thrown around for a long time. 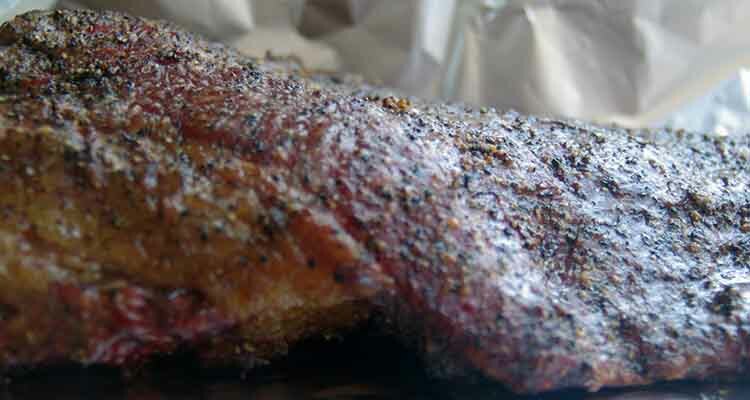 It simply refers to the act of wrapping your meat in tinfoil or butcher paper during the cook and it is a technique that is widely used on the competition barbecue circuit. 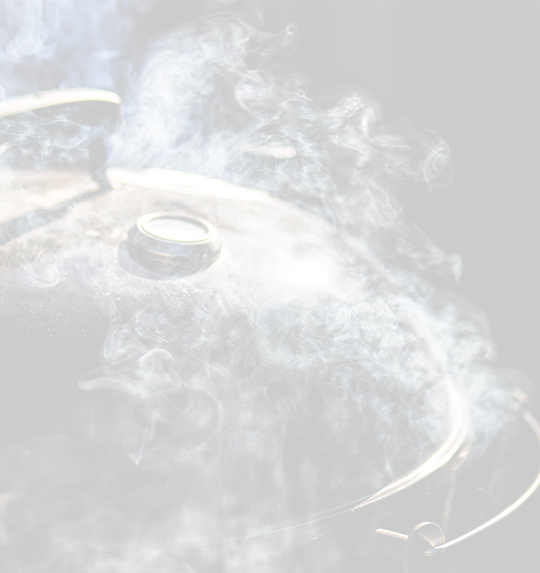 It is likely that the name started on the barbecue circuit as a tongue in cheek way of making fun of competitors who needed to give their food a leg up, or a “crutch”, over the competition. “I used to wrap my brisket in aluminum foil (the so-called “Texas crutch”—practiced at the illustrious Snow’s BBQ). I wrap when the internal temperature reaches 175 to 180 degrees. Then I met Aaron Franklin, who smokes the best brisket on the planet. Franklin wraps his brisket in pink unlined butcher paper. The Texas Crutch doesn’t exclusively refer to brisket. You can use the technique with any meat. The popular 3-2-1 method of cooking ribs uses the Texas crutch. The numbers simply refer to 3 hours in the smoker unwrapped, then 2 hours wrapped in foil, with the final hour unwrapped at a slightly higher temperature. 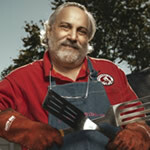 According to New York Times bestselling author and all-around barbecue genius Meathead Goldwyn of AmazingRibs.com, we wrap our meat in BBQ for two simple reasons: it creates a tenderer and juicy end product, and it can speed up the cooking process. When you cook a large hunk of meat like brisket at a low temperature the internal temp rises quickly at first. As the meat is cooking, the moisture that is inside the meat begins to make its way out from the center and evaporates on the center. Eventually, the meat will stop rising in temperature while the moisture is trying to evaporate. This is called the “stall”. 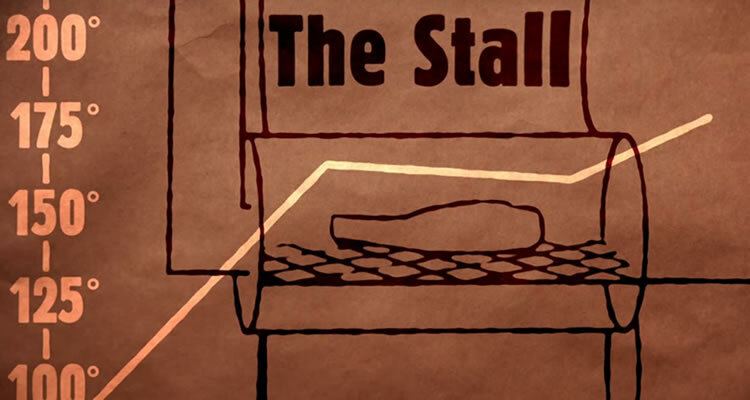 When the dreaded stall occurs you have two options: you can wrap your meat, or you can ride it out. By wrapping it, you are able to power through the stall because when you wrap the moisture stays inside the foil or butcher paper. In other words, you are braising your meat, allowing the internal temp to rise faster, and the finished product to be oh so moist and tender. I’m a believer in wrapping your brisket when two things have happened: after a dark bark has formed, and when the internal temperature has reached 150°F or when the stall hits (whichever happens first). A leave-in probe thermometer is an invaluable tool when cooking brisket. If you don’t have one already we have a guide you can check out. 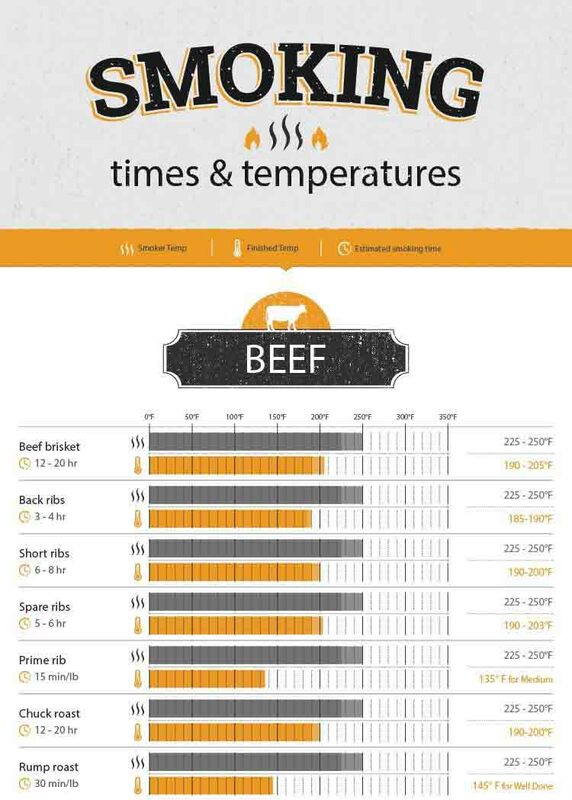 Depending on the temp you are cooking at and a few other factors that might not happen until after 4 hours, give or take. Cut down on cook time – Like I mentioned, by wrapping the brisket you are able to power through the stall and you can enjoy your delicious smoked brisket even faster. Keep meat moist and tender – Brisket is a bit of a fickle beast; it needs to be smoked for a long period of time in order for the fat and collagen inside to break down, but if you cook it for too long it will begin to dry out. Wrapping it will help keep it moist and tender. 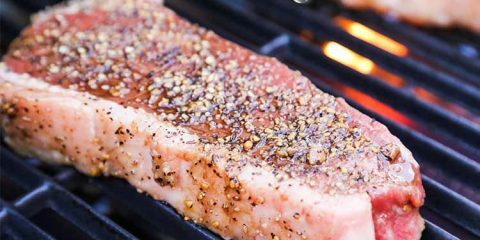 Stops meat taking on smoke – Too much smoke can give your meat a lighter fluid flavor. Once it’s hit about 145°F internal temp more smoke won’t add much flavor. You can “hot-hold” for several hours – Once you remove meat from your cooker it will begin to rapidly cool down. An easy way to combat this is to “hold” your brisket in a dry cooler filled with towels (more on this later). By wrapping your brisket you can easily transfer from the cooker to your cooler with little to zero mess. Ruins bark – If you wrap your meat too early, or if you just cook it for too long while it is wrapped you run the risk of your bark becoming nothing more than a wet and mushy mess. There is more than one option when it comes to wrapping your brisket. Let’s look at what arguably are the three most common methods. Just because most people wrap their brisket doesn’t mean you have to! An unwrapped, naked brisket will tend to take longer to cook, and you run the risk of it drying out before it is finished, but with some practice, you can still achieve a great brisket with a phenomenal bark. This is the method made famous by the good people from BBQ Pitmasters. By wrapping your brisket in tinfoil you will speed up the cooking process, and you will have a tender end product, but you do run the risk of ruining the bark you had begun to build up on the outside of your brisket. Made famous by Aaron Franklin of Franklin BBQ in Austin Texas; butcher paper is plentiful and easy to come by for any Pitmaster, so it just makes sense that you see many of them using it in their cooking. You might struggle to find butcher paper for sale. It’s easy to order a roll off Amazon, or you might be able to fit it at Costco or Office Depot. 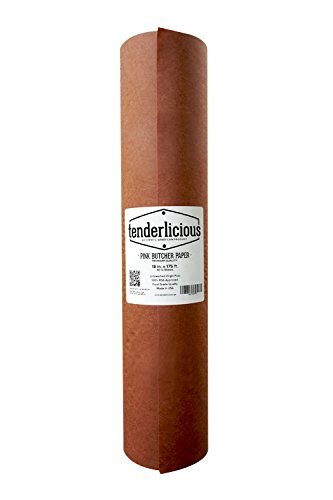 100% MADE IN USA: Tenderlicous Butcher Paper is manufactured right here in America, in accordance to the highest FDA standards. It's definitely a safe and healty choice for you and your family. FINEST QUALITY: It is unbleached and all natural. There is no wax and polymer coating on the paper. We only choose the finest pure virgin pulps to make our paper. The pink butcher paper allows you to keep the moisture inside the meat and speed up the cooking process, but it is also porous enough to allow some additional smoke to get in. In the video below, T-Roy Cooks does a test cook using three briskets. He cooks one naked, one wrapped in tinfoil, and a third wrapped in butcher paper. He cooks all three on a Yoder Wichita offset smoker at 225°F. The briskets T-Roy uses have been excellently trimmed right from the butcher. You might need to trim some of the thick fat cap off or do some other trimming on your briskets. He also rubs them in a simple seasoning of salt, pepper, and cayenne. You can do this or use your favorite seasoning. Like I mentioned, T-Roy uses a Yoder Wichita offset smoker and cooked his briskets at a temp of 225°F. After several hours, he wrapped two of the briskets – one in butcher paper, and the other in tinfoil. He then placed them back on the cooker with the third unwrapped brisket and cooked them until they were finished. Butcher Paper – The brisket that was wrapped in butcher paper took 10 hours to cook. While it was still incredibly juicy and tender, it did not have a dark or particularly crusty bark. Tinfoil – The brisket wrapped in tinfoil was the fastest to cook at a total time of 9 hours. It had a notably darker bark and it was agreed was the most tender and moist. It also had a much more noticeable smoke ring. 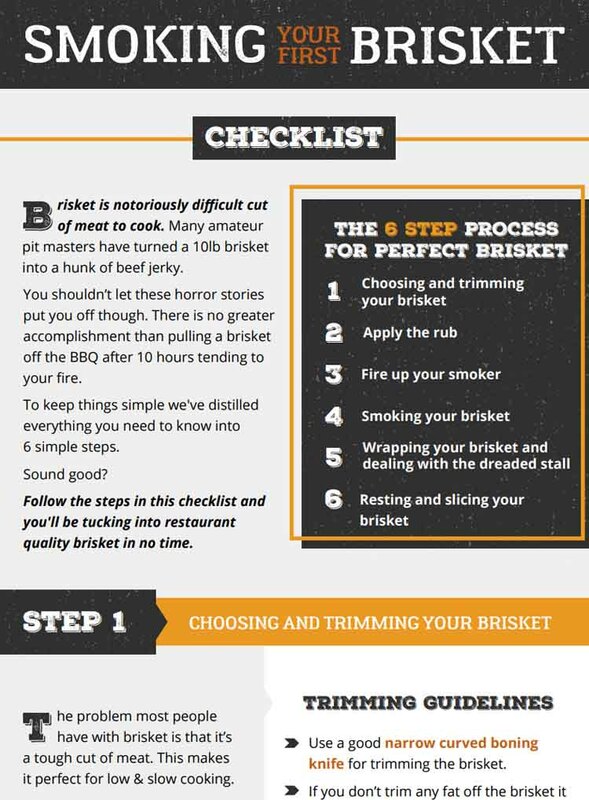 Naked – You notice immediately that the brisket that was cooked naked has a much darker bark than the other two. Total cook time for this brisket was the longest at 11 hours. It was agreed by all in attendance that this brisket had the most pronounced smoke flavor and the best bark. Not surprising as this brisket was cooked by smoke and heat for the entire 11 hour period. You don’t need to take my word that it is a wise choice to wrap briskets when cooking them! 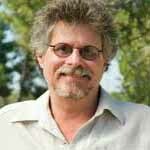 Daniel Vaughn of Texas Monthly Magazine spoke to many of the states foremost experts on the subject. Here’s what they had to say about wrapping and why they recommend it. Tim Byres is the pitmaster at this establishment, and he does things a little unique. 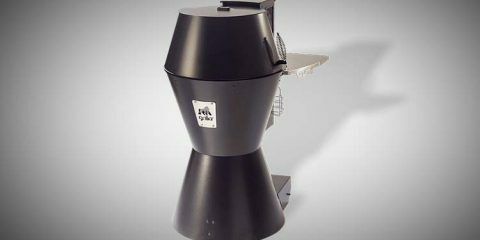 Smoke uses a large smoker that is able to hold briskets at 175°F until service. The briskets that are first served for lunch are not wrapped, but the briskets they plan to sell later in the afternoon are wrapped in butcher paper until service. Tim explains that this is to keep the briskets from drying out over time. He uses butcher paper because it is something that he has in abundance in the restaurant, but also because he feels it will allow moisture to escape and not turn the bark into mush. Named the best ‘cue in the state of Texas in 2008 and again in 2017, it is no surprise that we would have to get the advice of the pitmasters at this establishment. Surprisingly, they use foil to wrap their briskets. The key difference according to owner Kerry Bexley is that they do not wrap the briskets until much later in the cooking process. At this iconic Dallas joint, briskets are also wrapped in tinfoil, but not until after they have finished cooking. Basically, the briskets are wrapped as they are removed hours before they are served. They are then hot held in an electric warmer while the smokers are used to cook more delicious ‘que. No list would be complete without mentioning Franklin Barbecue. This restaurant was named the best barbecue in Texas for many years in a row (until recently knocked off its pedestal by Snow’s). Owner Aaron Franklin wraps his briskets partway through the cook in butcher paper. The brisket will stay in the butcher paper until it’s removed from the smoker and placed in an electric warmer hours before they being served. 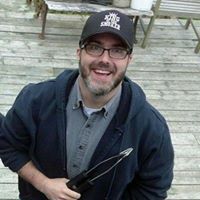 Aaron admits he started using butcher paper because it was cheaper than tinfoil, but that he holds similar beliefs to Tim Byres that the butcher paper will allow for the meat to breath and not dry out. Also known as the “Cathedral of Smoke”, Louie Mueller Barbecue has been in business since 1949 and has seen three generations of pitmasters running the business. Here they wrap their briskets once they are 95% complete in clear plastic wrap first and then butcher paper. After they come off the pit, they are held in a Cambro warmer. Current owner Wayne Mueller swears that wrapping is a necessity and that if the step is skipped that the flat will dry out. Whether you decide to wrap or not, you should always let it rest for at least an hour. 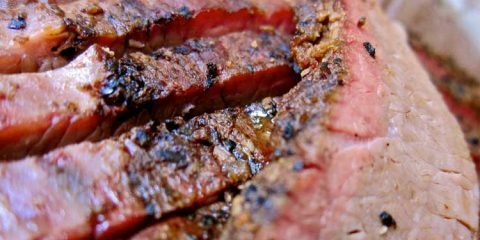 There is virtually nothing that can be done to improve the tenderness and moisture of a large hunk o’ meat like a brisket more than to let it rest after the meat has been cooked. By letting your meat rest you are allowing the internal temp to come down a little and allow them for the moisture inside the meat to relax and not want to gush out of the brisket as soon as it is sliced. Wrapping you brisket either during the cook or immediately at the end of the cook will make this crucial last step that much easier. Meathead Goldwyn has developed an awesome method of holding meat he calls the “faux Cambro”. A Cambro is a food service product that is specifically designed to help caterers and restaurants keep food hot for hours after it is cooked. You don’t need to buy a restaurant grade Cambro, you probably have one in the garage: A plastic beer cooler. If you don’t have one, now’s the time to get one. Buy one large enough to hold a big turkey or packer brisket. Make sure it is well insulated, make sure it seals tightly, make sure it is easy to drain, and make sure it is easy to clean. Wheels are a nice accessory. Buy an aluminum pan that fits inside to make cleanup easier, and keep a roll of heavy duty aluminum foil and one or two old towels in it when it is not in use. To make your own faux Cambro, all you need is a cooler and some towels. You can pre-heat your cooler by adding hot tap water for 30 minutes before you add your meat. Then dump out the water, lay some dry towels inside the cooler, and place your wrapped meat in the cooler. Meathead has had great results with this method and kept food warm for as long as 3 hours. After taking a long hard look at the topic of wrapping meat, my suggestion to you is simple: try different methods and see what works best for you. While myself and many professionals swear by wrapping briskets, you should not be afraid to try it once unwrapped and see what you think. Enjoyed the “brisket lesson” and the video. So much effort went into this acquiring special guests, and following up with the methods of the most famous bbq places in Texas. So great. While I’m still no expert, I can say that I like the brisket that I cook and I owe my success to a great grill, and listening to the experts!